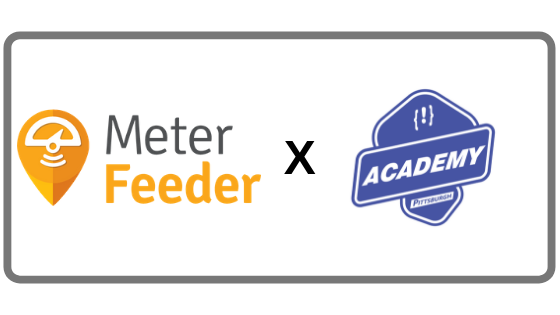 MeterFeeder hosts “learn to code” open house in Braddock, PA.
Pittsburgh, PA - On Monday, April 1st, MeterFeeder teamed up with Academy PGH to host an open house for the Braddock community to gauge interest for a Web Developer Boot Camp to be hosted in town. Academy PGH is a Web Developer Boot Camp that offers anyone the ability to “learn to code” in as little as 12 weeks. The service is offered a couple times a year around the Pittsburgh area, and leadership of the program is hoping to expand the service to Braddock, PA soon too. Academy Pittsburgh does not charge tuition. Instead, they implement an income share agreement (ISA). You can learn more about Academy PGH here. Click here to read our latest feature in Parking Today! Follow us on Twitter for updates about our revolutionary Pay-By-Vehicle software!